Waltz in E flat major, op.post. If Arturo Benedetti Michelangeli (1920-1995) remains an enigmatic figure, the elevated beauty and poetry of his playing � and its superhuman precision � are never in any doubt. This 14CD collection, which includes three previously unreleased tracks, gathers recordings made between 1939 (the year of Michelangeli�s momentous victory at the Geneva Piano Competition) and 1975. The repertoire, spanning the 18th, 19th and 20th centuries, encompasses works by all the composers who defined Michelangeli�s art. Michelangeli was born in Brescia in Northern Italy in 1920. At the age of three he started learning the violin, but switched to the piano and received his diploma from the Milan Conservatory at the age of 13. In 1939, at the age of 19, he won the Grand Prix at the Geneva Piano Competition - the chairman of the jury, the great French pianist Alfred Cortot, is said to have described him as �a new Liszt�. Further evidence of the passions beneath Michelangeli�s cool surface emerges from his biography. In World War II he served as a pilot in the Italian air force, before joining the Resistance. He was imprisoned by the Nazis, but escaped after eight months. The consummate pianist was also a keen racing driver, even competing in the famous Mille Miglia race that ran between Brescia and Rome. More significantly, he chose to devote much time to teaching, and among his students were Martha Argerich and Maurizio Pollini, two of today�s greatest pianists. 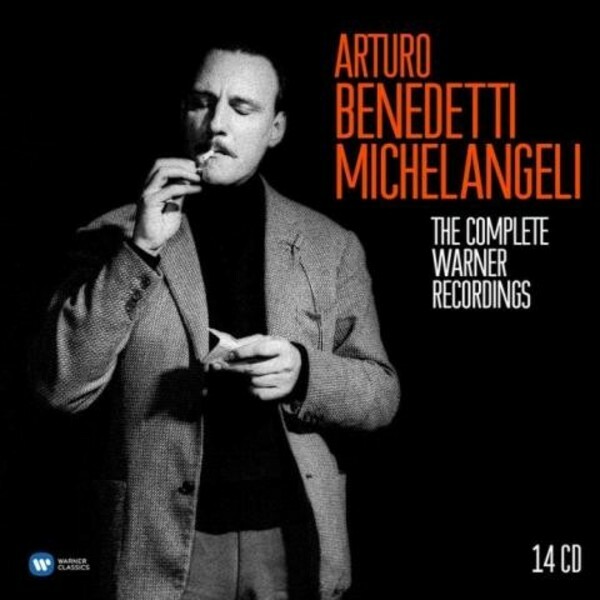 The cover, individual discs and extensive booklet notes are illustrated with fascinating archival photographs of Arturo Benedetti Michelangeli in Arezzo, Italy, where he gave master classes during the 1950s. Used with kind permission of the association Amici della Musica di Arezzo, these images have never before been published in connection with any commercial recording of Michelangeli, and offer fascinating insights into the legendary pianist�s career. CHOPIN: Fantasie Op.49 - Ballade Op.23 - Waltz in E-flat Op.posth.